Not long ago Jim Letten was our local Eliot Ness, here portrayed by Kevin Kostner, in "The Untouchables." Foolish underlings have cost him that reputation. photo: Paramount file. 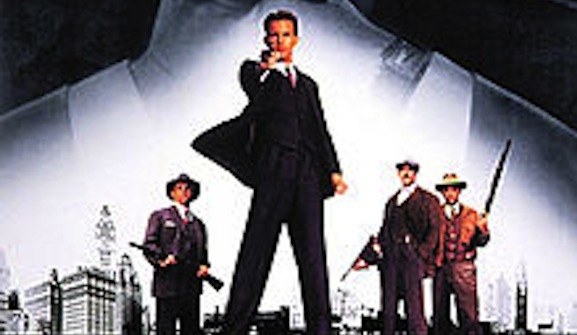 Not long ago Jim Letten was our local Eliot Ness, here portrayed by Kevin Kostner, in “The Untouchables.” Foolish underlings have cost him that reputation. photo: Paramount file. U.S. Attorney Jim Letten’s office is embroiled in controversy over online comments made by his top lieutenants. The team he has long-trusted has let him down during an important investigation into River Birch landfill. It’s a badly-timed reminder that no public servant, or office, should be above scrutiny and accountability. The move marked the second high-profile takedown of a federal prosecutor engineered by Fred Heebe, the [River Birch] landfill magnate who filed a defamation lawsuit last Friday accusing Mann of using an online alias to repeatedly slam him and others on NOLA.com. The “high profile takedown” preceding Mann involved former federal prosecutor Sal Perricone. In March Heebe filed a defamation suit that claimed Perricone, using the nom de plume “Henry L. Mencken 1951,” was inappropriately ranting on nola.com about cases in which he was involved. Perricone later confirmed media reports that said he likely used the monikers “legacyusa” and “dramatis personae” as well. Perricone resigned shortly thereafter. At the time, I called on Perricone to apologize for comments made by “campstblue,” another alleged alias, including one in which campstblue encouraged those “who have a penchant for firearms and how they work” to visit Mayor Ray Nagin’s house on Park Island. Perricone claimed he ”couldn’t recall” writing over 700 posts under the campstblue alias between 2007 and 2009. It was a stunningly implausible claim. How can you not remember posting, on average, two comments per day for two years—often during work hours? You’d expect that type of sudden amnesia from the target of a federal probe, not from an intense federal prosecutor. And I’m sure ole campstblue would agree. My intrepid blogger pals at American Zombie and Slabbed originally suspected an informant in the federal prosecutor’s office tipped off Heebe to Perricone’s online habits. After spending 10 minutes investigating the matter, I reached a different conclusion. Even a cursory review of Perricone’s rants made It clear he wasn’t simply venting blindly into digital space. There was a certain familiarity and coordination in his comment threads. I described it as a “know-it-all on a mountaintop, shouting to [his] peers on other peaks.” After a very brief scan of the archived posts by H.L. Mencken 1951 and legacyusa, I highlighted comments in an obituary of former Federal Prosecuter John Volz. There seemed to be a revealing give-and-take between “legacyusa” and a commenter named “brlawyer,” who suspected that legacyusa was perhaps a current federal attorney, rather than the retired one he postured as. Further, it seemed that Perricone was playing to an inside audience, and was being given friendly and convenient support by other commenters. If I could discover such a suspicious interplay inside of 10 minutes, I figured there must be numerous others in on the quasi-public exchanges. Perricone wasn’t a terribly sophisticated online operator. A very perceptive comment by “muspench” in this recent nola.com editorial on Letten is worth some attention. “Muspench” says that “Both Perricone and “eweman” were remarkably bold about letting others know who they were.” Then “muspench” documents a conversation between Perricone’s “Mencken” identity and a user named “YellowPocahontas2,” who clearly has an offline friendship with “Mencken.” Echoing Heebe’s lawsuit, “Muspench” links 2012 conversations between “eweman” and “brlawyer” to the 2011 conversation between “legacyusa” and “brlawyer” that I highlighted in March. So Perricone started talking to [brlawyer] almost a year before eweman addressed him so familiarly. Really, anyone in the legal community could have guessed where eweman and Perricone worked, and nailing their identities would be a lead pipe cinch for Heebe’s profiler. I don’t know who “Muspench” is, but I totally concur with his analysis. As I’ve always suspected, Heebe didn’t need inside information to figure out that U.S. attorneys were using online identities. It would have been obvious to anyone with an inclination to look. Heebe’s team aren’t geniuses. They just had the legal motivation to find and expose dubious behavior by prosecutors on Letten’s team. Muspench — Until I read your comment late this Sunday night, I hadn’t realized that I had played some very small role in all of this since both “eweman” and “Mencken” responded to some of my posts in the past. And you’re right, at the time I thought that they were likely AUSAs (I mean really — who else would take the time to write a post defending John Volz?). That’s the same reasoning I used in my March column. Defense attorney Arthur “Buddy” Lemann on Friday filed a motion to quash the indictment on behalf of his client Dominick Fazzio, a River Birch executive. Fazzio was also mocked online by Perricone. Lemann says he has a witness who’ll say “higher management” knew what Perricone was doing. Higher management could only be First Assistant Jan Mann or Letten himself. Neither I, nor Jan Mann, nor people in positions in authority in our office, to my knowledge (had) any knowledge of, nor did we authorize, nor did we procure or have any knowledge of Sal Perricone anonymously posting comments about cases or anything like that whatsoever until we learned about it in the filing. That is gospel truth. You gotta love emphatic claims of “gospel truth” that follow “to my knowledge” qualifiers. Now that “eweman” has been connected to Mann, one wonders if she hid her alleged online identity from Letten while Perricone was being investigated by the Justice Department’s Office of Professional Responsibility. Did Letten’s inexperience in discerning online machinations lead him to simply trust Mann, rather than conduct a thorough investigation of his office? If so, that was a big mistake. It is possible that the Justice Department conducted a thorough investigation, and it is possible that Jan Mann was truthful. But not both. … Still, although Letten concedes that Mann did write improper online comments and has now demoted her, he has not confirmed that she is “eweman.” Lord help him if she is not, for that would presumably mean yet another of his assistants has been poisoning the well. We cannot aver that [Jan] Mann knew what Perricone was up to, but that is no longer of any consequence, because what she did was worse than turning a blind eye. She was guilty of the same misconduct that rendered him unfit to be a federal prosecutor, but her conscience allowed her to remain in place while Letten spread the fiction that Perricone was the one bad apple. Brutal. Letten may not survive these idiotic, hubristic mistakes from his trusted teammates. Now even his supporters in the U.S. Senate have distanced themselves form the federal prosecutor. Sen. Mary Landrieu called the situation “troubling and unfortunate.” Sen. David Vitter initially said that Heebe’s allegations were “very serious,” and was concerned that Letten spent five days digesting the Heebe lawsuit against Mann, before demoting her. You may recall that Letten made an unusual move in 2007 in support of Vitter at the height (nadir?) of the D.C. Madam scandal. Vitter’s cell number was found on the Madam’s call logs, and there was rampant speculation that Vitter was also involved with local working girls. Letten said that Vitter’s name never came up in the federal investigation of the Canal St. brothel case, which seemed to contradict claims by “Canal St. Madam” Jeanette Maier. Now, during the prosecutor’s darkest hour in office, Vitter isn’t bending over backwards to support Letten, a fellow De La Salle High alumnus. Where’s the loyalty? Hell, a decade ago Vitter was supporting Heebe over Letten for the open U.S. attorney post! Who knows how differently Vitter’s career—not to mention the River Birch scandal—might have turned out, had Heebe been installed in that ultra-powerful office? Yet, around this same time, in a bid to further sway public opinion to their side, Letten’s top assistants felt the need to put their “thumb on the scale“ in online forums. With know-it-all arrogance, they demeaned their interlocutors and savaged those with different opinions about the federal targets they were probing and prosecuting. And they did it in a manner that was pretty obvious. (I’ll have more disclosures on that part tomorrow.) It was totally unnecessary and highly unprofessional, and reveals a troubling amount of insecurity and lack of discipline on their part. Like a lot of lawyers, they put in umpteen-hour work days and can’t let it go. They’re addicted to talking shop. So they played their little internet mice games and apparently hung their (non-internet savvy) boss out to dry. Don’t get me wrong. Even now, I’m far more skeptical of Letten’s targets than of his office staff. But that’s the shame of this whole thing. As much as I might disagree with the right-wing politics of Perricone or Mann or Letten, they had nearly impeccable taste in targets. And for those of us who suspect that an organized crime element lurks beneath the surface of public contracting, we couldn’t ask for a better set of anti-mob prosecutors. Letten, Perricone and Mann were perhaps on their way to catching the biggest fish… and yet they crippled the sparkling reputation of their office over dumbass online comments?! That’s maddening. Perricone blamed his mistakes on stress. Who knows what Mann will eventually blame. The only thing I know for sure is that the public hasn’t been told the whole truth, gospel or otherwise, about their online schemes. Unfortunately, the many successes of Letten’s office blinded us to an important truth. No one’s an “untouchable.” The U.S. attorney’s office is far too powerful and often times far too political to be shrunk to fit simplistic good guy/bad guy storylines. The timing is horrendous, but Perricone and Mann remind us that everyone is human; everyone can act small. No public office is above scrutiny or accountability. Tomorrow’s post will reveal new disclosures about the scandal that has engulfed Letten’s office. These omissions and mysteries are more than just a nuisance to Commentgate obsessives.